If you're deciding between a cruise aboard Oceania Cruises or a Crystal Cruises sailing -- both high-end lines with large-for-luxury ships -- you really can't go wrong. However, which line is best will hinge on your personal preferences. 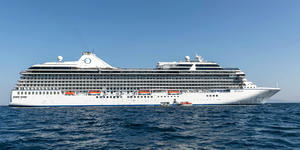 If you prefer newer ships, Oceania's newest O-class ships, Marina and Riviera, are in the lead. If you prefer more personalized service, a slightly more formal experience (think fellow passengers dressing for dinner -- even when it's not required by the dress code) and top-notch nightly entertainment, you can't go wrong with Crystal. Let's delve into all the things that make both of these lines special, so you can make a solid comparison between Oceania Cruises and Crystal Cruises and choose the best luxury cruise line for you and your travel companions. The Oceania Cruises fleet includes six ships. The four 684-passenger, older-yet-beloved R-class ships -- Insignia, Nautica, Regatta and Sirena -- joined the Oceania fleet in 1998, 2000, 2003 and 2016, respectively. The two newer, 1,250-passenger O-class ships were built specifically for the cruise line; Marina launched in 2011 (refurbished in 2016), and Riviera launched in 2012 (refurbished in 2015). The newer, larger ships offer more bells and whistles than their smaller, older siblings. The cruise line's OceaniaNEXT refurbishment program is currently underway. Oceania is pumping $100 million into the refreshing of its R-class vessels, including redesigned staterooms and suites, new decor in shipboard restaurants, and updated bars and lounges. Insignia's updates are slated for December 2018, with Sirena following in May 2019, Regatta in September 2019 and Nautica in June 2020. Crystal currently has two cruise ships: the 848-passenger Crystal Symphony (launched 1995) and 980-passenger Crystal Serenity (2003), both of which now accommodate fewer passengers after refurbishments in 2017 and 2018, respectively. Its 62-passenger yacht, Crystal Esprit (2015), will soon be joined by Crystal Endeavour, a polar-class mega-yacht debuting in August 2020. In addition, the line has three Diamond-Class ships on order; the first is scheduled to launch in 2022. Choose Oceania's O-class if you want a newer, more boisterous ship. Oceania Riviera and Marina are Oceania's newest and largest ships. They tend to draw a slightly younger crowd than Crystal Serenity and Crystal Symphony. 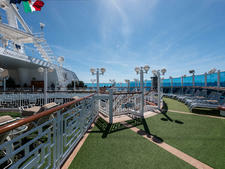 Riviera and Marina each have a capacity for 1,250 passengers and that translates into a certain hum of energy onboard. 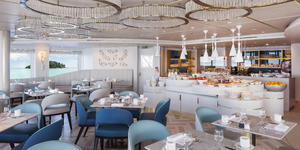 There are more daily announcements on Oceania than Crystal (which usually has just one per day), and the main dining room aboard both O-class vessels can feel crowded and fast-paced at times. Some love that energy and connection with other passengers, while others prefer the quieter, more sophisticated tone of Crystal's dining rooms. 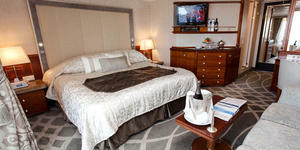 Or choose Oceania's R-class ships if you're looking for a small-ship experience. Many cruisers want an intimate onboard experience and Oceania can carry that off with aplomb aboard its R-class ships: Insignia, Nautica, Regatta and Sirena. These ships may be the sweet spot when it comes to size vs. amenities. With a capacity for 684 passengers, there's plenty of room on the ship for an observation lounge, coffee bar, multiple restaurants, pool and even a Canyon Ranch SpaClub. Yet each ship feels cozy, and its open-seating dining policy makes it easy for you to get to know other travelers during dinner. Yes, cabins may be smaller than what you'll find on some newer/larger ships, and you might feel a bit more movement during rough seas, but overall Oceania's R-class ships are ideal if you want a high-end, intimate voyage. Choose Crystal if you prefer more space and personalized service. If you happened to see one of Crystal's ships in port alongside either of Oceania's O-class ships, you'd see that they are comparable in size. Crystal Serenity is 820 feet long and Symphony is 781 feet long. Oceania's O-class ships are both 785 feet long. But -- this is the important part -- despite all four ships being very close in physical size, O-class ships accommodate 1,250 people each while Crystal Serenity welcomes 980 guests and Crystal Symphony accommodates 848. 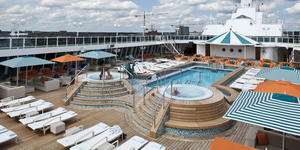 That means passengers aboard Crystal ships have more personal space -- on the pool deck, in lounges and at dinner. Fewer passengers also translate to an overall higher level of service, since the crew can take more time with each person, get to know him or her and really offer customized and caring attention. Or if you want to give yachting a try. Crystal Esprit, the line's first yacht, is your best bet if you want to sail with a very small complement of passengers without giving up quality of service. The yacht is staffed by 91 crew members that cater to just 62 passengers. This beautifully refurbished vessel is more like a boutique hotel than a cruise ship, yet it's got the hallmarks of some fantastic sailing vessels. You'll find a retractable aft marina and a small splash pool on deck. There are several restaurants onboard and the same excellent selection of wine is available on Esprit as it is on Crystal Serenity and Symphony. You'll have to crunch the numbers carefully to determine if you should take a particular Oceania voyage over a similar Crystal Cruise. We looked at transatlantic cruises, comparing a 15-night, Barcelona-to-Miami sailing on Oceania Sirena in November 2019 with a 12-night, Lisbon-to-Fort Lauderdale itinerary on Crystal Serenity (also in November 2019). To try to keep the comparison as close as possible, we looked at a 216-square-foot veranda stateroom on Oceania and a 269-square-foot deluxe stateroom with veranda on Crystal. Oceania's fare was $3,799 ($4,699 for the OLife promotion with extra inclusions). 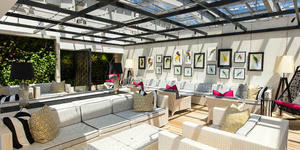 Crystal's veranda was $4,390 per person. Or, stated another way, Oceania's OLife per diem was $313 while Crystal's was $366. We also compared seven-night Mediterranean voyages. A Barcelona-to-Rome voyage on Oceania Riviera in June 2019 was listed at $3,099 per person for a veranda ($4,299 for the OLife fare). Crystal Serenity’s veranda fare for a Rome round trip in August 2019 was on sale for $3,445 per person. Remember that airfare is included from certain gateways with Oceania, or you can get a credit applied to your cruise if you buy your own flights. Both of the Oceania voyages we looked at were eligible for the OLife Choice program, which gives cruisers free round trip airfare from certain gateways plus their choice of one more perk. (In this case, the perks were free shore excursions, a free beverage package or shipboard credit.) Of course, you will need to factor in tips on Oceania whereas they are included in Crystal's fare, as are all beverages. So which is the better value? That really depends on you and the itinerary you've selected. If pricing is close, determine which cruise to book based on which ship and itinerary you like best and which cruise line most closely matches your cruise style. In many cases, Oceania cruises with the OLife perks package are less expensive than the comparable Crystal voyage -- but not always. 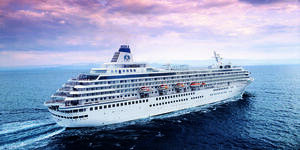 Choose Oceania Cruises if you like a la carte cruise fares. While Oceania includes plenty in its cruise fare -- unlimited Wi-Fi, meals at all of the ship's restaurants, and unlimited soft drinks, bottled water, specialty coffees, teas and juices -- it doesn't include things like tips, alcoholic beverages or shore excursions. 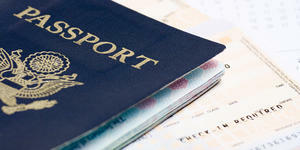 Airfare is included, but you can opt out of it in favor of a credit so you can book on your own. This gives passengers the flexibility to pay only for the amenities they will use. Although Oceania does not include alcoholic beverages in its cruise fare (Crystal does), it does offer beverage packages that can level the playing field. It offers various packages ranging from $39.95 to $59.95 per person, per day. If you're not a big drinker, you might want to pay for your alcohol by the drink (though some past Oceania cruisers feel that the line's a la carte prices are a bit high). If you've been pricing Oceania voyages, you've likely seen the company's OLife Choice promotion. Nearly all of Oceania's itineraries are eligible, and cruisers receive free round trip airfare plus one perk of choice: either free shore excursions (the number of which is dependent on the cruise you select), a House Select beverage package or onboard credit. OLife makes Oceania fare inclusions more competitive with what you'll find on many luxury lines, but do the math because the line charges different prices for cruises with or without the OLife perks. 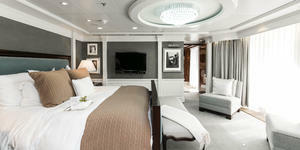 Choose Crystal Cruises if you want to have a more all-inclusive experience. 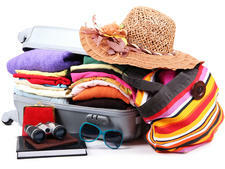 Crystal offers a cruise fare that encompasses a lot of extras. The per-person fare is inclusive of beverages, including wines, Champagne, premium spirits and all nonalcoholic beverages such as bottled water, soft drinks and specialty coffees. You can order anything you wish at any of Crystal's bars, lounges and restaurants. You'll also find a bottle of Champagne in your suite upon embarkation, and your mini-bar will be filled with soft drinks and bottled water. You can request select beer, wine and spirits as well. Crystal fares also include gratuities for housekeeping, dining and bar staff; specialty dining (one visit per passenger to Umi Uma and Prego); and unlimited Wi-Fi. Passengers in Penthouse categories also get butler service. 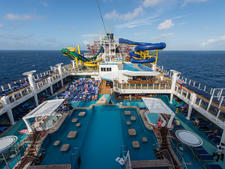 This makes for a pretty carefree day-to-day experience onboard. You won't be signing chits all day long, and you'll really only need to dip into your stash of cash for things like shore excursions, spa treatments and purchases from the ship's boutique. When it comes to itineraries, you can sail around the world with either cruise line. Both offer a range of port-intensive voyages but approach them a bit differently. Generally speaking, Oceania voyages call on more ports per voyage while comparable Crystal sailings are more apt to overnight in one or more ports. For example, an Oceania itinerary in the Caribbean (Miami round trip) calls for 10 nights with two sea days and then calls of eight to 10 hours in each port. On the other hand, Crystal offers a 10-night, Fort Lauderdale-to-Puerto Caldera, Costa Rica voyage that offers three sea days plus overnights in three ports: Cartagena, Colombia; Panama City, Panama; and Puerto Caldera. For those with limited vacation time, you'll find weeklong itineraries on both Oceania and Crystal, as well as 10-night or longer options. Both lines program some excellent "grand voyages" that last a month or more, and both offer full world cruises. Choose Oceania Cruises if you're looking for a cruise to a remote locale. Oceania's smaller R-class ships -- Insignia, Nautica, Regatta and Sirena -- can sail into some remote bays and harbors that can't accommodate today's larger vessels. If you're looking for a cruise that doesn't visit ports that are jam-packed with other tourists, look at the R-class itineraries. Another unique sailing is Nautica's 15-day South African Explorer. It's a round trip from Cape Town that calls on Mossel Bay, Richards Bay, Durban, East London and Port Elizabeth in South Africa, as well as Maputo, Mozambique and Walvis Bay, Namibia. Choose Crystal to see the world’s most popular ports. Also of note are Crystal's Baltic cruises, which spend three days in port at St. Petersburg. (Only a few of Oceania's voyages of 12 nights or longer do the same). Three days gives passengers enough time to immerse themselves in Russia's cultural center by visiting palaces, discovering imperial treasures and admiring impressive architecture. 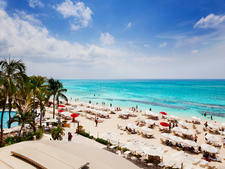 One area where you might find some differences between Oceania and Crystal are in the shore excursions the lines offer. Both offer a variety of options, from gentle city walking tours and motor-coach excursions to more active adventures that can include snorkeling, paddle-boarding and hiking. On Oceania, though, you'll need to book more expensive tours (Oceania Select and Exclusive Excursions) if you want a small-group experience, whereas Crystal makes a point to ensure its shore excursions aren't oversold. For example, the line makes sure there are empty seats on motor-coach tours so every passenger is comfortable and there is room for the group to spread out. Choose Oceania if you want to take a lot of ship-sponsored tours and snag a discount. 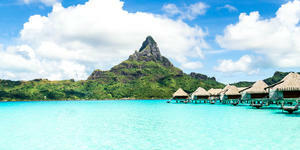 Oceania offers shore excursion packages to help take the sting out of touring expenses. The Unlimited Passport Collection gives you access to unlimited excursions throughout your cruise, but you must select from a set list of options. The package doesn't include every shore excursion sold on an a la carte basis by the company. While you can't choose from the complete list of tours, you will get up to 40 percent off the tours that are included in the Unlimited Passport Collection. 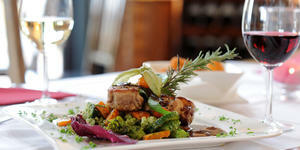 Or if you're a foodie and are interested in tours that delve into a region's cuisine and dining customs. Oceania's Culinary Discovery Tours get high marks from cruisers; if you're a foodie, it's worth booking an Oceania voyage to try one or two of the options. These specialized shore tours focus on visits to local markets, restaurants where you meet the chef, wineries and more. Some tours include a meal. Choose Crystal if you want to custom-design a private shore excursion. Crystal Cruises offers passengers the opportunity to work with its shore excursions team to create highly customized, private shore tours. Cruisers interested in Crystal Private Adventures kick-start the planning process by filling out a tour request and paying a $100 nonrefundable deposit (applied to the excursion if you end up booking it). You can ask Crystal's team to plan a tour that's essentially the same as the line's publicly offered options, or use your imagination to create something totally unique. Crystal's team can get you a private tour of the Hermitage Museum in Russia, arrange for a meal at the chef's table of a Michelin-starred restaurant, or offer a picnic lunch on a nearly deserted beach. It's an option that many use for special occasions or multigenerational trips where you'd like your group to travel together -- whether that means by luxury sedan, minibus or catamaran. Or if you'd like to do some voluntourism during your voyage. Crystal offers a variety of tours where you can give something back to the region in which you're traveling. These hands-on tours are called "You Care. We Care. Crystal Voluntourism Adventures" and they provide a hyper-local look at the destination in terms of its history and current challenges. During the tours, you'll have the opportunity to meet people and help in a project that will better their community. Tours are available in destinations ranging from Cartagena, Colombia (to work with underserved communities) to Darwin, Australia (to help maintain a botanical garden) and San Francisco (to work at a food bank). Overall, you'll find Crystal's staterooms to be more spacious than those on Oceania's ships -- especially the line's older R-class vessels. But room size evens out when you're comparing the upper-level suites. Both lines have tapped famous designers -- Dakota Jackson and Ralph Lauren Home on Oceania and Toronto's II BY IV on Crystal, for example -- to create highly stylized and comfortable suites. Choose Oceania if you want a range of accommodation options. Depending on which ships you sail -- Oceania's older R-class or newer O-class -- you'll have a plethora of cabin types to choose from, including inside staterooms (which Crystal doesn't have). In addition to the most inexpensive inside cabins, Oceania offers ocean-view, veranda and Concierge-level veranda staterooms as well as suites (Penthouse, Vista and Owner's). The mattresses aboard all Oceania ships are excellent; called Prestige Tranquility beds, they are exclusive to the line and each has a two-inch-thick, gel-filled pillow top. (You will sleep like a baby in this bed!) All cabins are also decked out with an excellent assortment of Bulgari bath products, and in the evenings your room steward will leave fine Belgian chocolates for your enjoyment. When you up the ante and book a Concierge-level stateroom or suite, you'll get some perks like priority embarkation and luggage delivery, priority for reservations at the specialty restaurants, and even unlimited access to the Spa Terrace at the ship's Canyon Ranch SpaClub. Those staying in a Vista and Owner's suites, and Oceania Suites on Marina and Riviera, also get butler service plus a complimentary, in-suite bar setup with six full-size bottles of premium spirits and wines. Choose Crystal if you want to book the high-end suites. Crystal's suites are stunning; it would be tough to book one and find many faults. The "top" suite is the Crystal Penthouse with Verandah but you should also consider the Penthouse Suite with Verandah and Penthouse with Verandah. Each option features a queen bed in the master bedroom and a whirlpool tub in the master bath. A stone entry foyer welcomes you to Serenity's 1,345-square-foot Crystal Penthouse, which also features Swarovski crystal sconces and chandeliers, Italian mosaic tile, Riedel crystal and a Duravit spa flotation tub with ocean view in the master bath. The spacious layout includes a dining area, living room, butler's pantry, passenger half-bath, and a media room that can be converted into a second bedroom. Crystal Penthouse cruisers spend a lot of time on the balcony, which is large enough to include two chairs and side tables as well as one chaise lounge. If you're looking to book the best suite onboard, Crystal Serenity offers four Crystal Penthouse with Verandah suites while Oceania Marina's comparable Owners Suites number only three. Suites tend to book quickly on both lines. 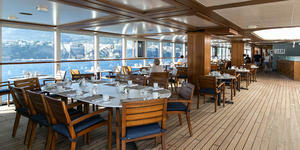 Both Oceania and Crystal get great reviews when it comes to the food served onboard. Both lines have relationships with star chefs (Jacques Pepin for Oceania and Nobu Matsuhisa for Crystal), and both do their best to offer a range of options from the traditional main dining room to buffets and even outlets for ice cream and pastries. Both offer Asian, Italian and steak-themed specialty dining venues. Crystal also has a Brazilian churrascaria, while Oceania has a French venue. The two lines each offer an intimate, private dining room for wine-paired dinners that showcase rare or high-end wines and menus full of primo ingredients. Crystal recently revitalized its dining program by evolving from set seating to a more flexible "dine anytime" option (like Oceania has) while also rolling out some new restaurants and dining options. Choose Oceania if you enjoy no-fee dining at multiple venues with very different menus. Aboard the O-class ships you can enjoy dinner in numerous no-fee restaurants, including the Grand Dining Room (also open at breakfast and lunch); the steakhouse Polo Grill; Toscana, for Italian and Mediterranean cuisine; a French restaurant called Jacques; Asian-inspired Red Ginger; and the Terrace Cafe (also open for lunch) for indoor or outdoor dining. Waves Grill by the pool rounds out the no-fee offerings. It's generally easy to get a table at whatever restaurant you wish to visit, but if you want a prime dining time -- especially at Jacques or Red Ginger -- try to make reservations in advance. La Reserve, in partnership with Wine Spectator, offers a delicious, multicourse wine-pairing dinner, and it's the only restaurant onboard that charges an additional fee, though you're really paying for the wine rather than the food. Choose Crystal Cruises if you love Asian food. While Oceania features the Asian fusion Red Ginger, Crystal offers two Asian restaurants: Umi Uma (formerly Silk Road) and Sushi Bar -- created by famed chef Nobu Matsuhisa -- and Silk, a Chinese family-style venue open for lunch and dinner. Many cruisers feel that Umi Uma is superior to Oceania's Red Ginger. Passengers can dine once at each Umi Uma at no charge. (Additional reservations might be available for $30 per person.) If you've dined at Nobu's other restaurants, you'll recognize favorites like yellowtail sashimi with jalapeno and tuna tataki with cilantro sauce. But the onboard chefs also use local ingredients -- such as soft-shell crab, lobster and shrimp -- to create nightly specialties. If don't have a reservation, the venue's Sushi Bar is first come, first served, and fee-free for sushi and sashimi, effectively creating a second restaurant inside the first. You can also order off the Sushi Bar's menu if you've got a table at Umi Uma. Reservations are recommended for dinner at Silk, but there's no fee to dine here. The dinner menu features items like spring rolls and dumplings along with stir-fried beef and crispy duck salad. It's a casual drop-in spot for lunch, with options such as pork buns, chow mein noodles and Hainanese steamed chicken. Both lines have some worthy entertainment options onboard, though each excels in different areas. Choose Oceania if you enjoy cooking. Oceania's larger ships, Marina and Riviera, are unique in that they have a structured learning facility for chefs: the Culinary Center. Picture a bright and airy teaching kitchen complete with cooking workstations for passengers. 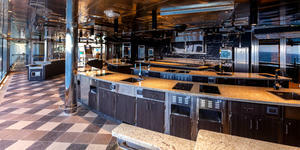 This state-of-the-art teaching facility is manned by chefs from around the globe who help cruisers become better cooks. Classes range from Italian pizza and pasta creations to Cuban specialties and baked treats. Choose Crystal if enrichment and learning is important to you. In addition to fascinating and well-known guest lecturers, Crystal offers its Creative Learning Institute. While onboard, you can take a variety of classes that focus on a wide range of topics from creating movies on your iPad to wine tasting, tai chi and bridge play. Highly regarded organizations including Berlitz, the Tai Chi Cultural Center and the Cleveland Clinic partner with Crystal to make the Creative Learning Institute a true powerhouse of knowledge. Crystal also offers art instruction through its Odyssey Art at Sea program (Oceania also has an artist-in-residence who teaches classes), and computer classes through Computer University@Sea. 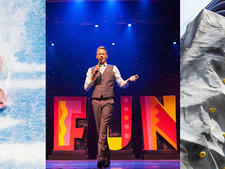 Or if you love live music, dancing and Broadway shows. Crystal takes a refined approach to evening entertainment and is perhaps best known for its Ambassador Hosts dance partner program. The line screens accomplished ballroom dancers to make sure each passenger will have the opportunity to twirl across the dance floor with an interesting partner. Male hosts are on every sailing, and they attend all the dance classes and evening parties. Additionally, certain cruises are themed as "Crystal on Broadway." In concert with Tony award-winning producer Kevin McCollum, Broadway performers are invited onboard for both performances and lecture-style events. Luxury lines aren't in the habit of catering to children but Oceania and Crystal can both be good options for families in certain circumstances. Choose Oceania if you're traveling with mature teens or young adults. 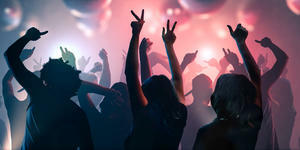 Oceania's O-class ships offer a range of activities that can appeal to mature teenagers and young adults. If the kids in your family fall into those categories, a trip aboard Marina or Riviera could be ideal. Artsy kids will like the Artist Loft, where they can meet the artist-in-residence and take an enrichment class or two. By the end of the voyage, your kids could have a watercolor painting or digital photography portfolio under their belts. Young adults interested in cooking can take exciting, hands-on classes at the Culinary Center; participants get to work on a fully equipped workstation while the chef teaches from the front of the room. Even if your kids aren't into joining activities, there is always the pool and three hot tubs, as well as a sports deck which offers a putting green, shuffleboard, paddle tennis, croquet/bocce and a fitness track. Or if you're going to Alaska with younger kids. Oceania doesn't have a formal children's program or onboard facilities. But its Alaska itineraries during the summer are so popular with families that the line offers a special Alaska Explorer Youth Program. Designed for kids between the ages of 5 and 12, the program brings together experienced youth counselors with junior cruisers for a variety of games and educational activities that tie into the region. Choose Crystal if you're traveling with young children or teens. While Crystal doesn't offer the same level of children's programming that a mass-market line like Royal Caribbean does, it actually comes to the table with fairly robust child care options for a luxury line. During holiday and summertime cruises, Crystal brings aboard experienced youth counselors. 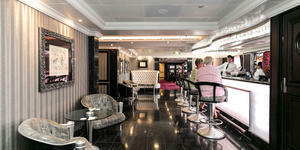 If you sail aboard Crystal Serenity or Crystal Symphony, look for Fantasia, a playroom where kids can play board games, watch cartoons or movies on a large-screen TV, or take part in arts and crafts lessons. To accommodate teenagers, Crystal offers Waves. This video arcade has Xbox 360 and Sony PlayStation kiosks. Crystal also offers in-cabin babysitting services if you'd like to enjoy a meal on your own. Choose Crystal if you prefer a more all-inclusive cruise fare, extras such as enrichment lectures and dance hosts, a refined atmosphere with a strict dress code, and myriad options for evening entertainment. Choose Oceania if you prefer more control over what you pay for, always-free specialty restaurants, and a wide choice of cabin types from more affordable insides to over-the-top suites.